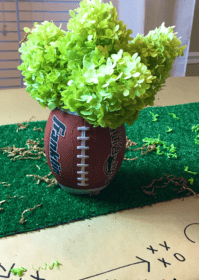 Center Piece in a Snap! and is a *snap* to put together! Step 1: Gather your materials. 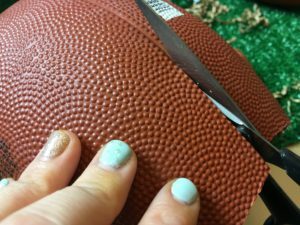 Using an Exacto knife or blade, cut into the ball at the end, using the white line as a guide. 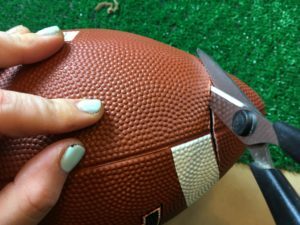 Step 2: Grab your scissors and finish cutting the end off of the football. 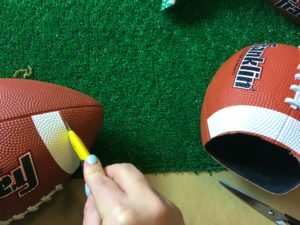 Step 3: Go ahead and do this to both ends of the football. Step 4: Depending on the size of the jar you plan to use, you may need to cut a slit up the side of the ball in order to fit it over the jar. 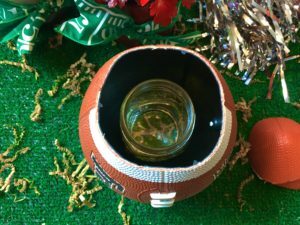 Step 5: Slide the football over the top of the jar. 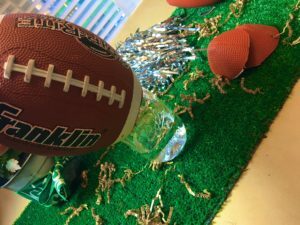 Step 7: Slip the end of your bouquet inside the football and into the jar and… T O U C H D O W N !!! 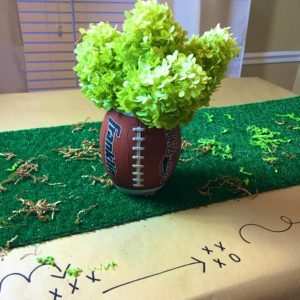 Score one for the team with this aDOORable DIY center piece! check out my game plan in my DIY Tutorial Video! 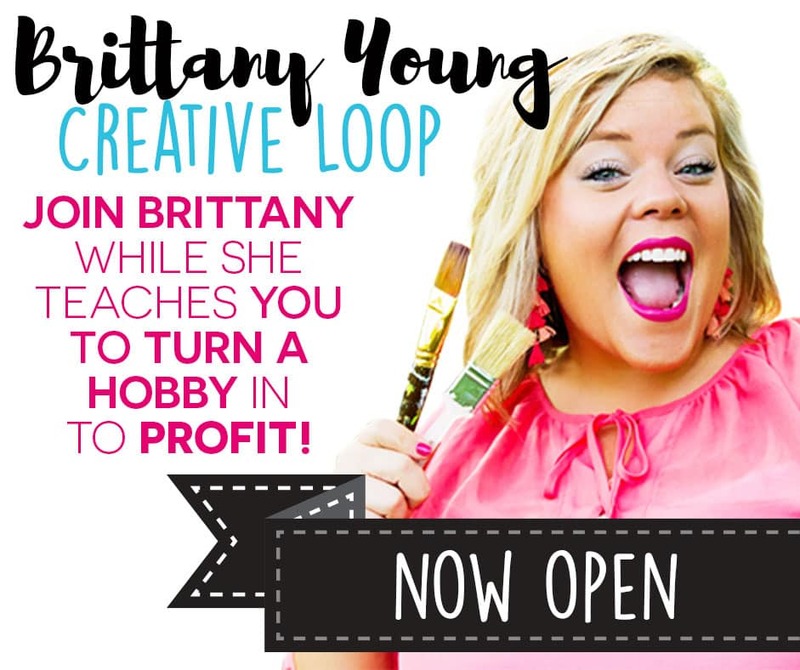 Brittany Young LIVE! 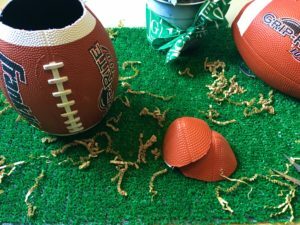 Football themed crafts.